Mazda confirmed a two-car Daytona Prototype international (DPi) program at the LA Auto Show on Wednesday and unveiled its new race car, which will compete full-time in the IMSA WeatherTech SportsCar Championship Prototype class beginning in 2017. Mazda’s new DPi program is the next chapter in a lengthy history of prototype racing in IMSA. The manufacturer has fielded a two-car, factory-supported team since the inception of the WeatherTech Championship after previously supporting prototype and GT race cars in both the American Le Mans Series and GRAND-AM. Most recently, the manufacturer utilized a Lola LM P2 chassis and four-cylinder, turbocharged engine in the WeatherTech Championship. he new DPi car — dubbed the “Mazda RT24-P” in a nod to the manufacturer’s “Mazda Road to 24” driver development program — will use the Mazda MZ-2.0T four-cylinder, turbocharged engine producing approximately 600 horsepower and a Riley/Multimatic prototype chassis with specially designed Mazda bodywork. The bodywork utilizes Mazda’s KODO-Soul of Motion design philosophy and will include elements such as body contours and a five-point Mazda grille. Visited the shop a couple of month’s back and was so impressed. Looks like they have even more going on than before, with the Donohue Porsche 917 in the house. McLaren has officially announced they will be racing with Honda engines from 2015 onwards. 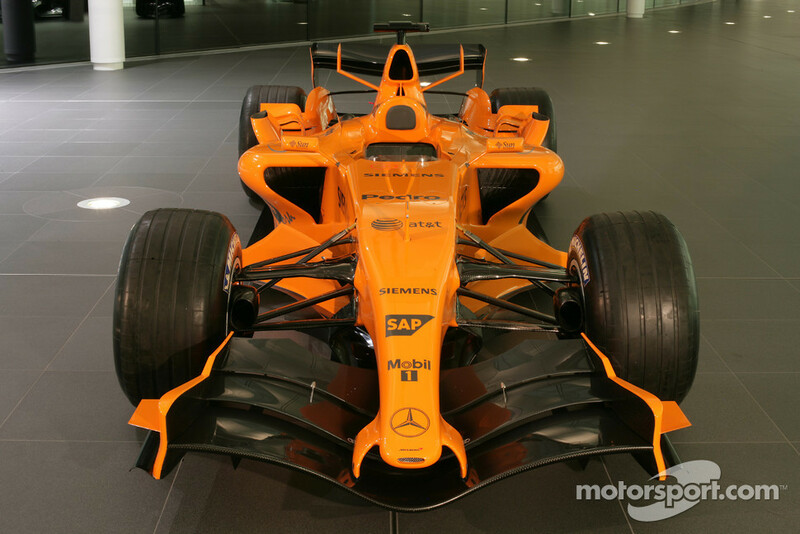 McLaren’s cars could go orange in the near future, team boss Martin Whitmarsh has admitted. Although the Woking based team’s cars have been silver since 1997, orange is actually McLaren’s traditional race colour, dating back to the Can-Am days of the 60s. Asked if the change of title sponsor for next year in the wake of Vodafone’s scheduled departure might be a chance for McLaren to return to orange, Whitmarsh answered: “I really like the idea. “Orange is a great colour, especially for McLaren,” he told the Russian website f1news.ru. “We use it for our racing GT and it looks great, and we’ll continue to move in this direction. “F1 is a bit different: the modern business model is one of the main tasks of the team — to promote the brands of our partners. “But if we’re lucky enough to find a sponsor who likes orange, you could see that colour again in formula one,” added Whitmarsh. F1 to Long Beach? Doubtful…. I posted comments from Gordon Kirby last week re: the possibility of Long Beach looking at F1 back in the streets. In discussions around the e – “water cooler”, the consensus is that this will never happen with the current track configuration, the paddock space and just the general lack of run offs. That and the fact that the current owners of the race would be hard pressed to sell one of the most profitable races on the calendar. That’s my sense, what is yours? Here are some shots from the Road Kings Spring 2012 show in Burbank, at Johnny Carson Park.